Discussion in 'Books and Anime Discussion' started by Joe, Dec 28, 2014. With enemies on all sides, who can Drake really trust? On the run after escaping from what was supposed to be the world's most secure juvenile facility (and blowing it up in the process), Will Drake knows it's only a matter of time before the sinister Alliance catches up with him. But Drake is in need of an alliance of his own - knowing who to trust is becoming increasingly difficult, and after having been exposed to the highly unstable (and potentially deadly) Crystal-X whilst fleeing from the Rig, it looks like time might be running out for him all together. 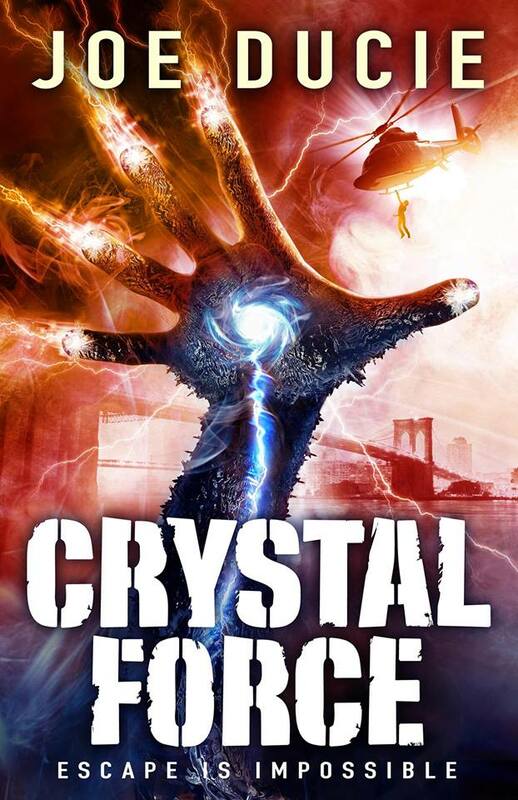 His arm has started to mutate into an impenetrable black crystal, and although it gives him a superhuman-like ability to fight, it might also be causing him to lose his mind. Surrounded by enemies and desperate for help, Drake and his escapee comrades are forced to form an uneasy partnership with a mysterious group who also claim to have been exposed to Crystal-X. They say they know how to use its powers for good - but can Drake really keep running forever? And who should he trust more - his supposed friends, or the voices in his head...? This one is hitting shelves on April 2nd, 2015! Coming to all good bookshops. Pre-order now and/or pick up the first in the series - THE RIG! Cover looks awesome. Cant wait for the release. Got some amazing artwork for one of the action scenes in this one! In an ever-changing battle field, Ducie draws contrasts between young and old, light and dark, sanity and madness, good and evil, love and hate, and, ultimately, life and death. Seems interesting. I've put aside my piratical habits and purchased Crystal Force to support a fellow DLPer, but Amazon claims the Rig isn't coming out until October 6, 2015, which seems rather strange since Crystal Force is the sequel. Also, the cover art doesn't appear to be displaying. Yes, when my American publisher bought the rights to The Rig, Amazon US reset the availability date to mirror that market. The Rig will be a nice hardcover in October, 2015. The paperback has been available since late 2013.